Tributes to Beastie Boys’ Adam “MCA” Yauch have been pouring out over the last few hours since news of his passing spread, from Diplo to Krist Novoselic to Big Boi. But the music industry isn’t just coming together now to honor one of its greats — artists started rallying around Yauch as soon as he confirmed he was diagnosed with salivary gland cancer in 2009. 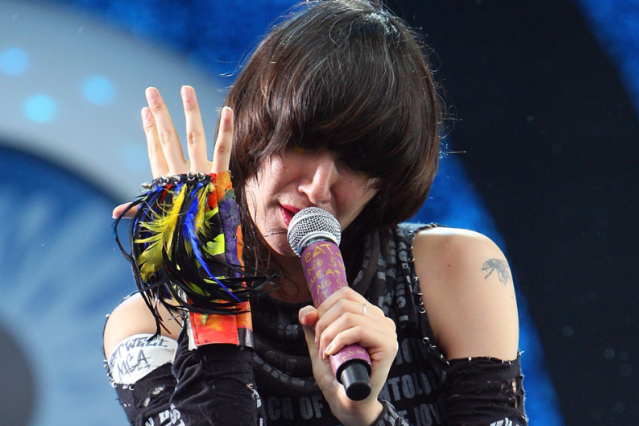 When the Beasties dropped out of 2009’s All Points Festival, Jay-Z stepped in to fill their headlining slot and Q-Tip and the Yeah Yeah Yeahs’ Karen O honored MCA onstage with positive vibes and song dedications. Coldplay’s Chris Martin even threw together a piano cover of “Fight for Your Right” at the fest. In the months that followed, acts as varied as Switchfoot and Yelawolf covered Beasties songs. And the Rock and Roll Hall of Fame announced the Boys were class of 2012 inductees.